Ananat studies the intergenerational transmission of poverty and inequality in the United States, with a special focus on identifying the causes and consequences of economic disadvantage. 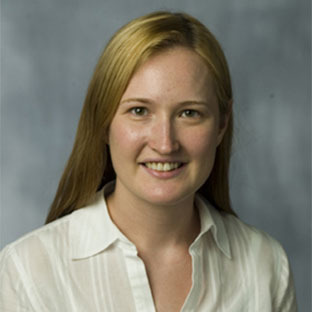 Her research has examined such issues as the effect of divorce on mothers’ incomes, the effect of housing segregation on racial income disparities, the effect of maternal access to abortion and birth control on children’s circumstances, and the consequences of local economic downturns for youth outcomes. She teaches microeconomics for public policymaking and U.S. poverty policy. In 2010, she served as Senior Economist for Labor, Education, and Welfare at the White House Council of Economic Advisers. Guest to discuss the gender pay gap on Zeroing In Podcast, Elizabeth Oltmans Ananat, October 17, 2016. Elizabeth Oltmans Ananat quoted on the economics of fertility in Sandy Fitzgerald, "Fewer Pregnancies Reason for Drop in Abortions" Newsmax, June 12, 2015. Elizabeth Oltmans Ananat's research on effects of statewide job loss on student achievement discussed in Lila Shapiro, "Community Job Loss Leads to Decline in Student Achievement," Huffington Post, June 7, 2011. Elizabeth Oltmans Ananat's research on the effects of statewide job loss on student achievement discussed in Stephen Gandel, "Is the Economy Hurting Your Kid’s Report Card," Time.com, June 6, 2011. "Single Parenting: Some Richer, Some Poorer," Elizabeth Oltmans Ananat, The Atlanta Journal-Constitution, The Baltimore Sun, The South Carolina State, The Raleigh News and Observer, The Ft. Lauderdale Sun-Sentinel, April 24, 2008. Elizabeth Oltmans Ananat's research on the effects of racial segregation on urban poverty and inequality and the effect of marital breakup on the income and poverty of women with children discussed in Justin Wolfers, "The Fiscal Costs of Marriage and Divorce," The New York Times’ Freakonomics blog, April 15, 2008. "Community-Wide Job Loss and Teenage Fertility," (with Anna Gassman-Pines and Christina M. Gibson-Davis), National Bureau of Economic Research Working Paper #19003, March 31, 2013. Estimates the effects of economic downturns on the birth rates of 15- to 19-year-olds, using county-level business closings and layoffs in North Carolina over the period of 1990-2010; finds little effect of job losses on white teen birth rates, but for black teens, job losses to 1% of the working-age population decrease the birth rate by around 2%. "The Power of the Pill for the Next Generation: Oral Contraception’s Effects on Fertility, Abortion, and Maternal and Child Characteristics" (with Dan Hungerman). Review of Economics and Statistics 94, no. 1 (2012): 37-51. Finds that expanded access to the pill allowed young women to delay childbearing and avoid abortion, and that while they eventually had the same number of children as young women who didn’t get access to the pill, their children were more likely to grow up in intact families with college-educated mothers. "Children Left Behind: The Effects of Statewide Job Loss on Student Achievement," (with Anna Gassman-Pines, Dania Francis, and Christina Gibson-Davis), NBER Working Paper #17104, April 30, 2011. Finds that statewide job losses decrease eighth-grade math scores enough to cause substantial increases in the share of a state’s schools that fail to make Adequate Yearly Progress under No Child Left Behind. The effects of job losses are widespread, decreasing the test scores even of children whose parents maintain employment. "The Wrong Side(s) of the Tracks: The Causal Effects of Racial Segregation on Urban Poverty and Inequality" American Economic Journal: Applied Economics 3, no. 2 (2011): 34-66. Shows that residential racial segregation increases a city’s rates of black poverty and overall black-white income disparities, while decreasing rates of white poverty and inequality within the white population. "Abortion and Selection" (with Jonathan Gruber, Phillip Levine, and Douglas Staiger). Review of Economics and Statistics 91, no. 1 (2009): 124–136. Finds that children who were “born unwanted” prior to the legalization of abortion not only grew up in more disadvantaged households, but also became more disadvantaged adults: a child who would have been born if abortion were not available would have been 23 to 69 percent more likely to be a single parent, 73 to 194 percent more likely to receive welfare, and 12 to 31 percent less likely to graduate from college. "The Effect of Marital Breakup on the Income and Poverty of Women with Children" (with Guy Michaels). Journal of Human Resources 43, no. 3 (2008): 611-629. Finds that divorce has little effect on women’s mean household income, but increases women’s odds of having very high or very low income (and therefore increases both poverty and inequality), because while some women successfully compensate for lost spousal earnings through child support, welfare, combining households, and increasing labor supply, others are markedly unsuccessful.